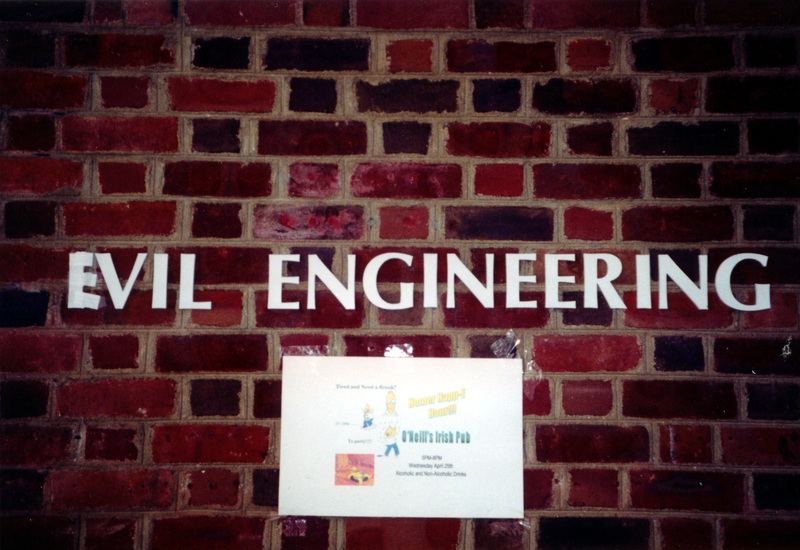 Ben Schuman and I stumbled upon UVa's Dept of Evil Engineering one afternoon. The Civil Dept's lettering had lost its C, so we turned "IVIL" into "EVIL" as shown :). It only stayed up a few hours, our guess is the Civil dept thought it was an attack on them rather than our suggestion of the existance of an evil eng dept?